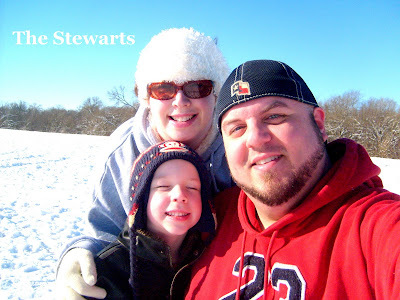 Simply Stewarts: Snow, Part Two – Videos!! Snow, Part Two – Videos!! 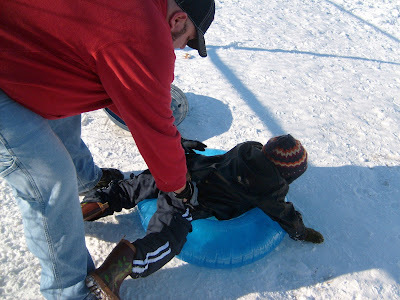 This morning we went out early for more sledding since we knew the snow would be melting today. The hill was much better today because the snow was super packed. Rather than more photos, we took videos! Well….we took a couple of pictures too. No worries on the last one. Luke was not hurt at all. The big tube was busted during the flip, so Josh and I did not get to sled as much. 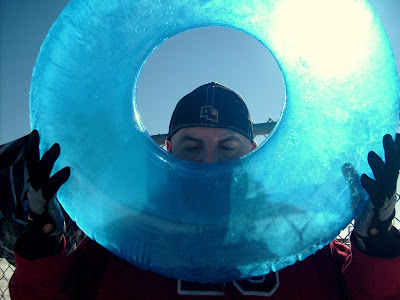 Luke’s tube also got a small hole in it, so Joshua would blow it up after a couple of runs down the hill. More tubes are on the Wal-Mart shopping list.